2017. Metal construction, monofilament, lights, electric transformer, motor. 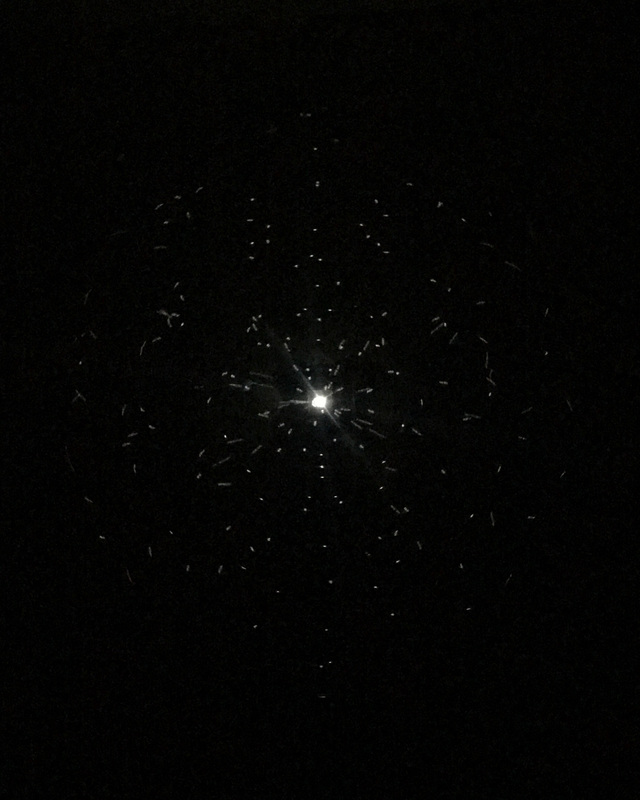 Diameter 61 cm. 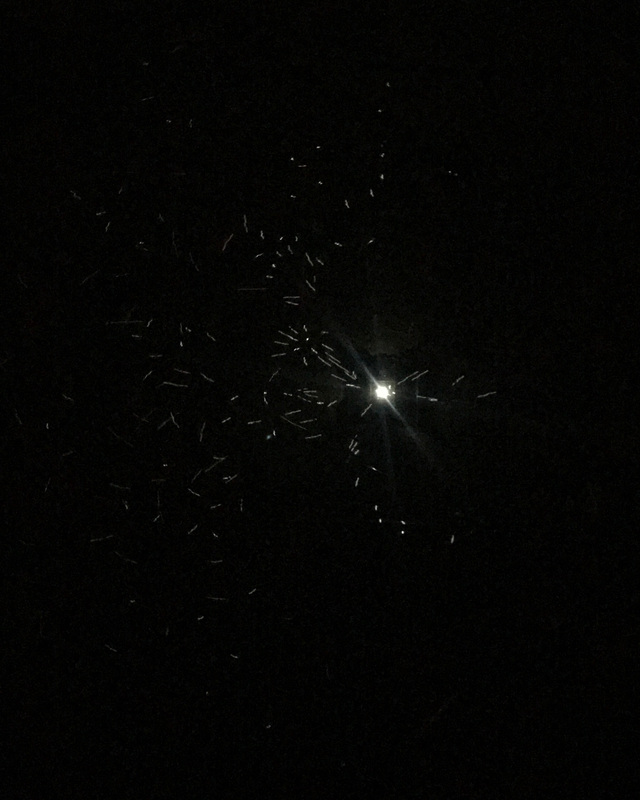 In a pitch-black room, a maze of tiny dots of light slowly flies trough the air. 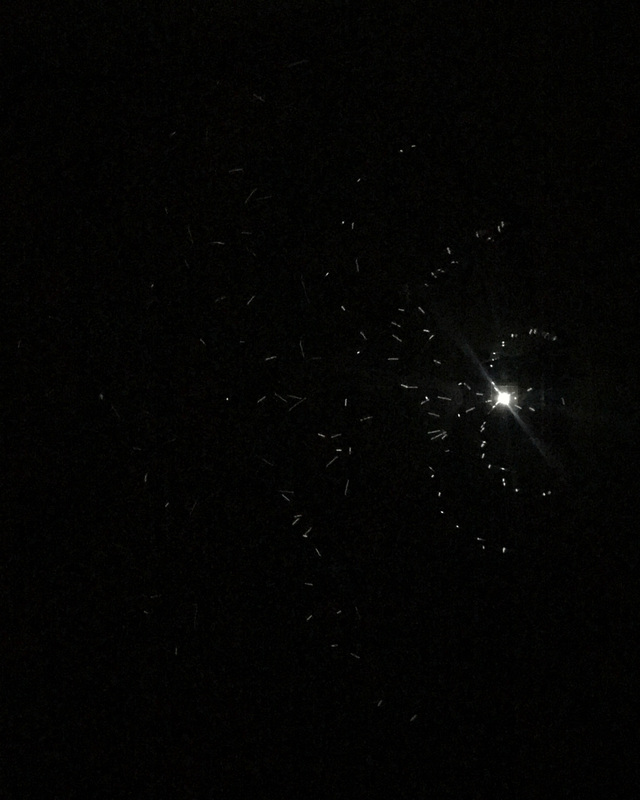 These specks move in numerous directions; as the viewer walks towards them, one becomes immersed in micro-universe of stars or a dancing swarm of fireflies. Spherical metal construction (geodesic sphere) is interwoven with monofilament and suspended from the motor fixed on the ceiling. Light is placed on the wall. 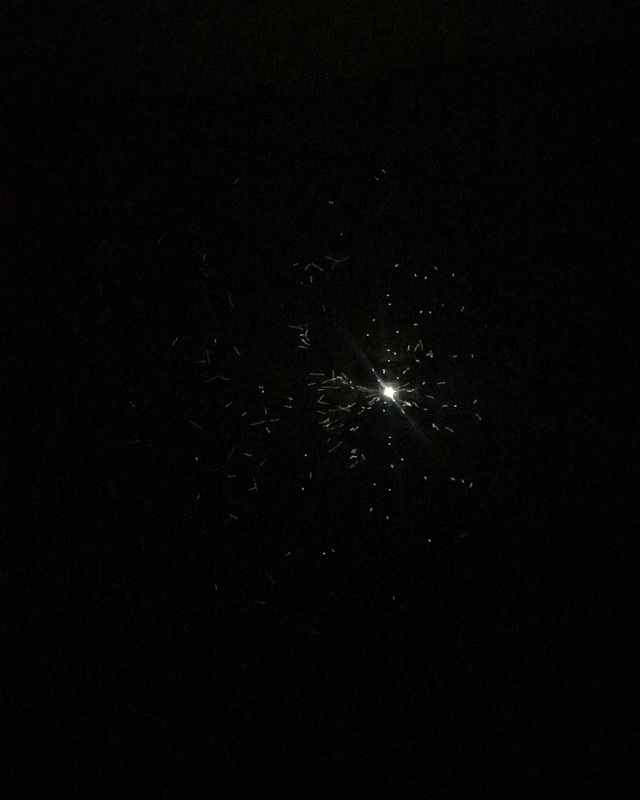 A visible maze of dots is created by light and reflected of the monofilament.